Superstar Salman Khan is known for his helpful nature in Bollywood. The largehearted actor has helped many in times of need. 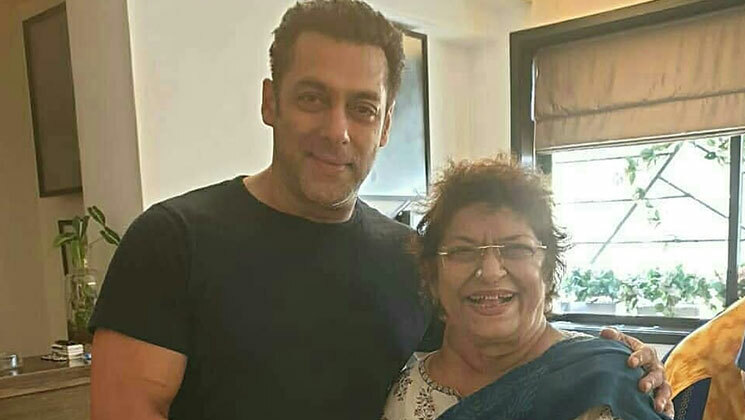 We now have ace choreographer Saroj Khan praising the ‘Bajrangi Bhaijaan‘ for his kind and helpful nature. Yes, Saroj Khan (who ruled the 90’s) is out of work these days, but it was Salman Khan who offered her work. Ace choreographer Saroj Khan, who was the woman behind Madhuri Dixit, Sridevi, Sushmita Sen‘s killer moves on the big screen, has been out of work since long now. She had recently lashed out the big wigs of the industry for not offering her any work in the last few years. But as per a Mid-Day report, when Salman Khan got to know about her condition, he promised her work in his coming projects. The report further added that Salman might rope in Saroj Khan for a song in ‘Dabangg 3’. Salman Khan and Saroj Khan had collaborated in blockbusters like ‘Biwi Ho Toh Aisi’, ‘Biwi No. 1’, ‘Andaz Apna Apna’, etc. On the work front, Salman Khan is gearing for the release of ‘Bharat’ co-starring Katrina Kaif.